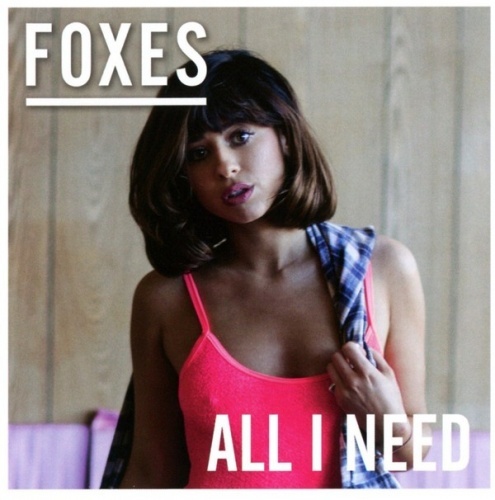 Foxes' All I Need is a refreshing blast of deftly produced, stylish pop. At its best, All I Need is on par with the smarts of Marina and the addictive joy of Ellie, while mirroring the focused vision of Carly Rae. From the double whammy of the two singles that open the album to the stirring numbers that close it, it's a dose of unabashed emotion that never overwhelms with treacle or plastic detachment. Louisa Rose Allen's rich voice is full of natural soul and vitality, able to convey yearning and joy with equal measure. That organic vocal strength is the center point that carries the album from the immediacy of the feel-good, club-friendly hits ("Body Talk," "Amazing") to the empowering Sia-sized belters ("Feet Don't Fail Me Now"). Elsewhere, the plaintive moments of dramatic beauty are heartbreaking (the weepy "If You Leave Me Now" and the Babyface-penned "Scar") and the kiss-offs ("Money") burn with attitude similar to Lily Allen or Kate Nash. In addition to Foxes' talent, the behind-the-scenes team has a top-shelf pedigree. Dan Smith of Bastille co-wrote the glimmering Euro-disco opener "Better Love" and Semisonic's Dan Wilson lent his skills to the power-stomping anthem "Devil Side." Meanwhile, producers Rick Nowels and Jesse Shatkin put their magic touches on a number of highlights, including the jaunty "Wicked Love" -- which glimmers with pep and an angelic harp that would make Kate Bush proud -- and "On My Way," a gorgeously restrained ballad backed by a gospel choir. Much like Jepsen's Emotion or Swift's 1989, Foxes' All I Need is vibrant, intelligently crafted pop pleasure.